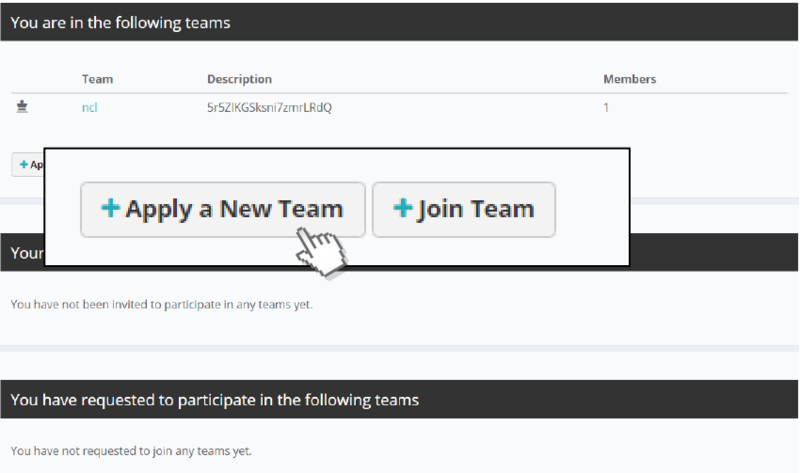 Go to team dashboard and click the apply a team button. Fill in all your team details and submit to us. If your application is still pending after 5 business days, please contact us at support@ncl.sg.